Graphic design has a rich and varied history. The word “graphic design” didn’t appear on the scene until 1922, when William Dwiggins created the word to describe the art of designing with graphics. In the earliest days of graphic design, professionals drew by hand. However, in the last 60 years graphic design has forged ahead, advancing rapidly since the addition of today’s digital art tools. Even though the term wasn’t yet coined, some of the earliest designs included typography for books and newspapers. One could also argue drawings on cave walls represent a form of ancient graphics. Fast forward to the 1900s when posters became a form of expression. During the 1940s, graphic design appeared in propaganda posters of the era, such as the “We Can Do It” poster with Rosie the Riveter. Slogans were short, to the point, and added to a graphic that set the tone. As technology began to change and become available to more people, the entire industry that would become known as graphic design began to emerge. At one time, only wealthy people had televisions in their homes, but by the 1960s and into the 1970s, TVs became as commonplace as radios. The face of design changed because of the influence of television advertising. The political protests of the time also inspired the re-emergence of poster art. 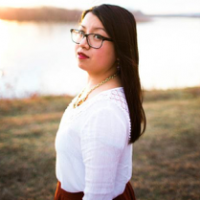 This time the art focused on civil rights and the Vietnam War. Everyday Americans began to use flyers with these designs to get their messages out. 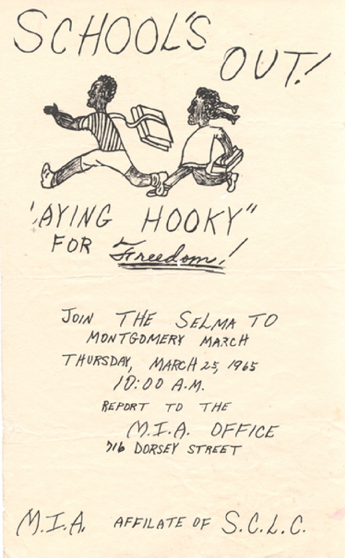 Although computer-generated graphics were not as readily available as they would be in the future, the influence of a balance between positive and negative space can be seen in this 1965 flyer created by the Montgomery Improvement Association about the Selma to Montgomery march. In the 1970s, influences from other cultures began to filter into designs all over the world. Japan recovered from WWII and quickly became a major player in the industry. As the rest of the world influenced Japan, Japan also changed the rest of the world. Some of the elements from Japanese art that became more common were things such as symmetry, colors that meshed well together and icons in the center of the design. Although psychedelic designs continued into the 70s, designs also began to include people touting various products and the use of icons. 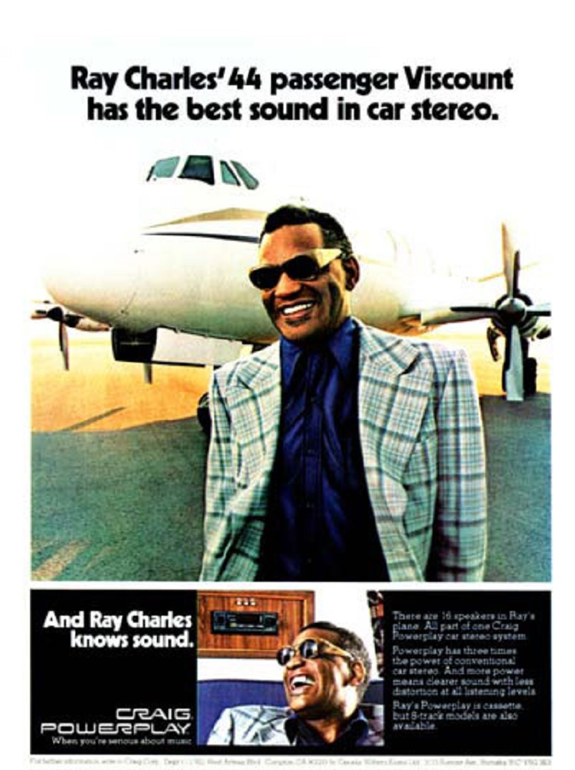 One example of the use of famous faces to advertise a product appears in the 1977 Craig Stereo ad above, which uses an image of the iconic musician to promote the stereo. Note that the tagline is short, but the image of Charles is large. Then, more details are added below the main ad. The 80s were all about bold, bright colors that grabbed people’s attention. Personal computers became affordable for everyone, putting design tools into the hands of all. In 1985, Microsoft introduced Windows, which meant people no longer had to learn MS-DOS to operate a computer. You just clicked on a few buttons and it was easy to design anything. The decade was also known for its big, blocky text. Imagine cartoon text reminiscent of graffiti art and you’ll get a feel for some of the typography of the decade. In 1984, Apple released MacPaint for Macintosh computers, allowing designers to use computer graphics in an effortless way, such as with a mouse or graphics tablet. Postscript language allowed designers to place type and graphics on the same page and send it to print, rather than using a drafting table to assemble designs. 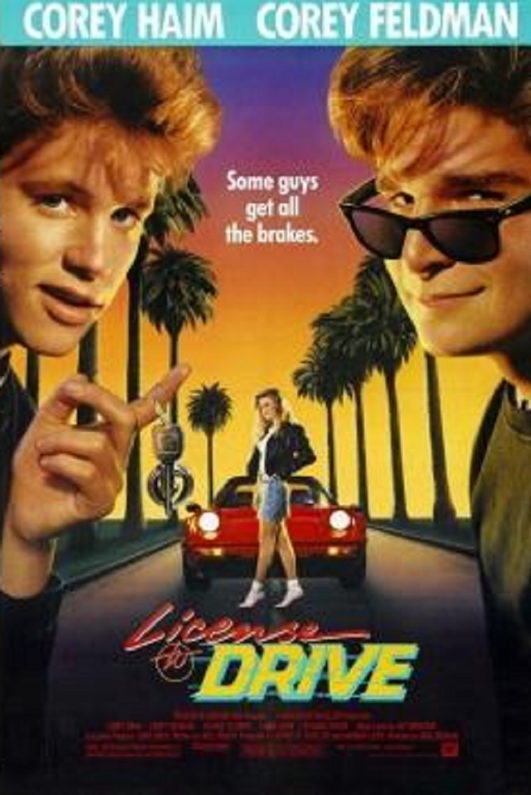 The 1988 movie poster above for License to Drive is neon noir style. The style includes fonts with partial script in a bright, neon color and dark backgrounds that allow the neon colors to pop. The designs also frequently included elements such as palm trees, sports cars, and sunsets. In 1990, Photoshop 1.0 arrived on the scene. Back then, you could only use Photoshop with Macintosh computers. The birth of this new tool again changed designers’ ability to experiment with new techniques, including overlapping text, faded elements, and digital overlays. Grunge was also born in the ’90s, which showed up in movie poster designs, book covers, and album covers with dark looking images and simple color palettes, such as white on black, perhaps with a pop of red. A few grunge typefaces even came about—gritty and raw-looking text. 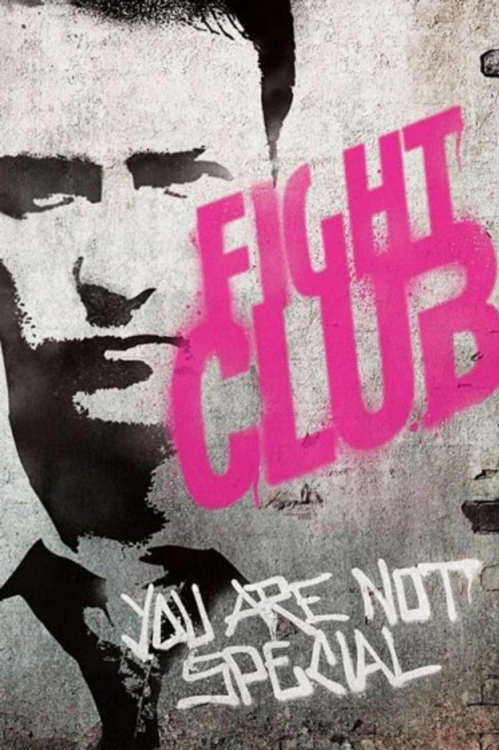 The movie poster for Fight Club uses grunge typography that makes one think of street art. Note how the background of the poster is dark and grainy, while the text is bright but raw. This combination creates the overall grunge effect from the decade. The 2000s began an entirely new frontier for graphic designers. In addition to tools becoming even more powerful, people were suddenly designing on portable devices, such as smartphones. On top of that, designers began to realize the importance of designing in a way that looked good across all device types. Movement became more of a focus, with designers looking for ways to make even static logos look like they’re in motion. 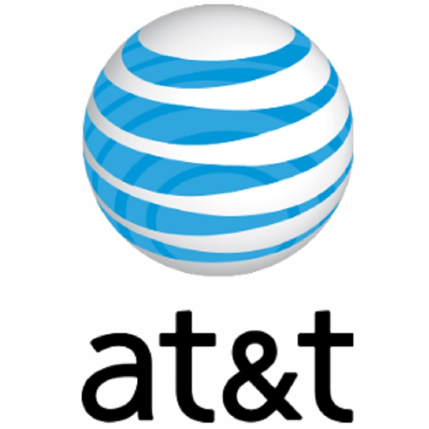 One example of a logo that appears to almost be in motion is the AT&T logo of a globe. Because of the mix of blue and white along with the angles of the logo, one can imagine that the image is spinning slowly just as the earth does. They debuted the logo in 2005. There isn’t one method that dominates graphic design today, but a mix of design techniques and styles. Trends emerge from year to year—and sometimes month to month. In 2017, the use of cutout text that meshed with strong images allowed designers to create unique looks for websites and logos. Other trends included flat icons and the addition of videos across marketing channels. Websites need to be mobile responsive more than ever before, so simplicity is the order of the day, along with speeding up overall rendering. Print advertising meshes with mobile devices, bringing a new experience to users that is more immersive. Where graphic design will go in the future is anyone’s guess, but the user experience is sure to remain at the forefront. Designs will become more personalized and more interactive over time. One example of this type of technology and personalization appears at Walt Disney World in Orlando. As riders stroll past digital posters, a sensor picks up the signal from a magic pass armband, and the guest’s name comes up on the poster, welcoming them. Regardless of where design goes next, expect to see increasingly more personalized designs that enhance user experience in your daily life. Are there any graphic design trends you hope will come back around? Tell me about them in the comments.